Peoria Pizza Works is definitely an iconic restaurant in Peoria Heights. 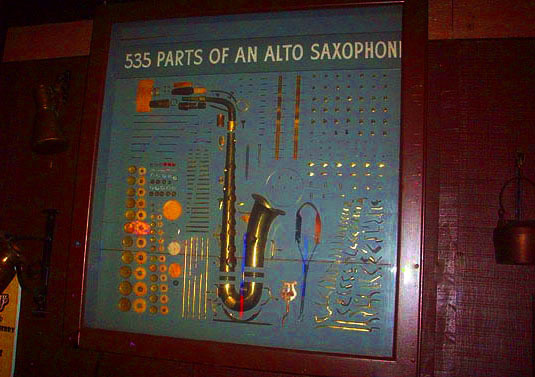 It’s been in existence since (I believe) 1976. They’ve not only churned out tasty pizza pies for all those years, they’ve also been very supportive of live music and one of the few remaining venues for local musicians to put on a show. The pizzas they serve are prepared Chicago Style with three types available: Pan, Stuffed or Thin Crust. 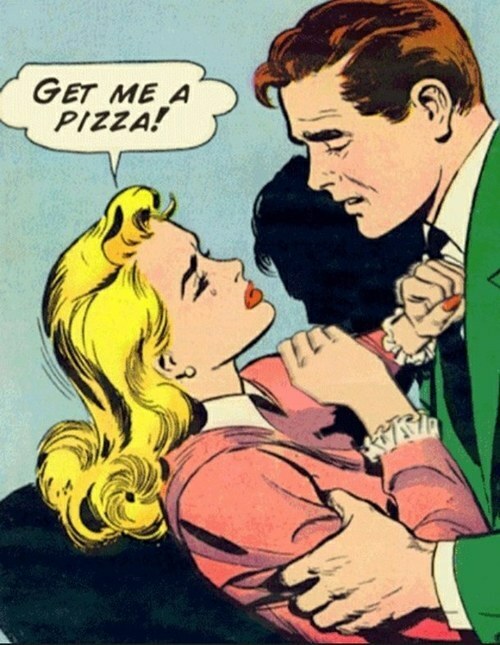 I’ll probably go with the thin crust, but we’ll see when we get there. To the MBIP mobile for week number three of a year of pizza! What a cheesy adventure! And we’re off for pizza number three on another cold and muggy-buggy evening. And here we are at Peoria Pizza Works. I haven’t been here for a long, long time and I’m anxious to see if it’s changed at all inside. Only one way to find out and that’s to open the door and let this pizza party begin! Wow, it hasn’t changed a bit and that’s definitely a good thing. Nice and dark in here, just the way I remember it! 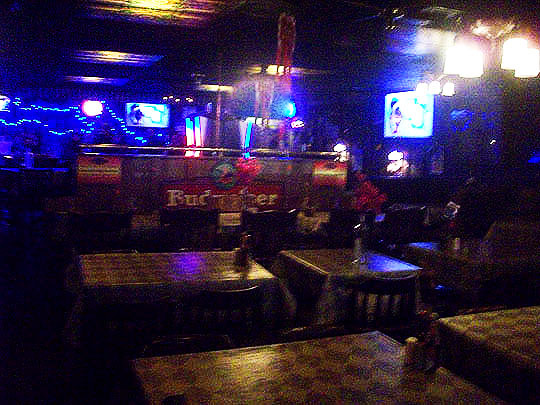 Padded wooden booths line the walls, but they’re all empty. Where is everybody? They’re right here, at the bar. It’s after 10PM, so most of the people eating dinner are long gone and just the drinkers remain. That’s fine with me, this is my crowd! The entire bar is packed, but there’s one spot here at the end, so I’m grabbing a stool and claiming it! The lovely and friendly bartender, Diana serves up the first beer of the evening. Diana told me she’s worked here for over 30 years! She must've started when she was seven-years-old! 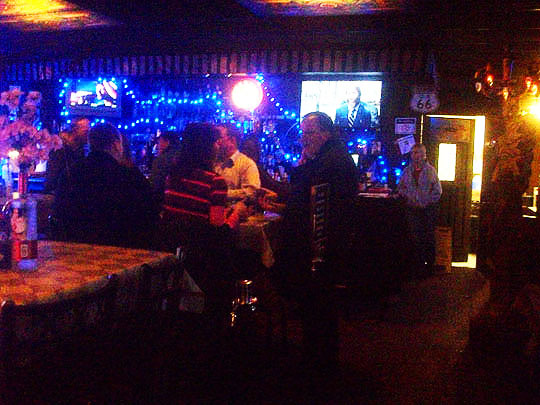 I like the blue lights that are hung up behind the bar, it really gives it a dive bar feel in here. 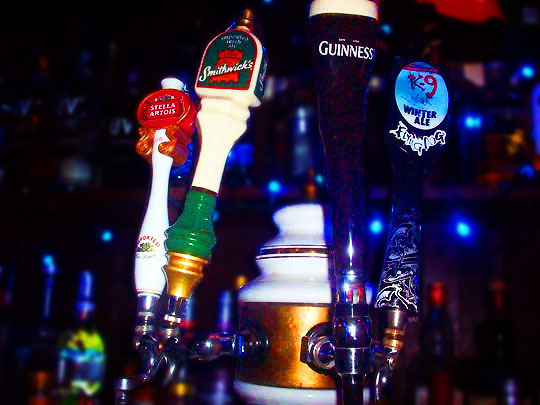 And here’s another quintet of taps! I think this will get a high rating on the old Spike-O-Meter, if he tunes in to this episode. You out there, Spike? I ordered my pizza and Diana gave me an appetizer of a free bowl of popcorn at the bar. The night is off to a spectacular start! They have a Little Nut Hut in here...hey, the left side needs a refill. This door leads to the other side of Peoria Pizza Works. There’s tables and chairs over here and a stage area for bands to play. 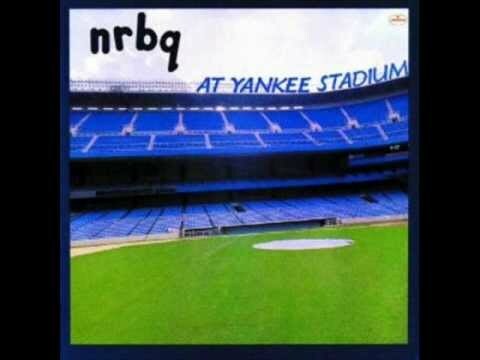 I thought I remembered that NRBQ—one of my favorite bands—played here in the past, and it was confirmed by MBIP Contributor Jeff Putnam. He told me they played here around 1980, I think I may have gone to one of the shows...but 1980 is a little bit of blur, I must confess. If anyone out there has photos from the show, I’d love to see them and post them here, let me know. I wonder who’s playing here next? Well now, that answers that question, although I do believe I detect a typo in the band’s name. It’s time for pizza number three! I thought that every week when we get a pizza we’d see what kind of hot sauce selections the restaurants have and this is quite an impressive collection at Pizza Works! And here’s this week’s pie, all peppered and sauced up. Believe it or not, this is a small pizza pie! I got the thin crust with hamburger and onions. It looks great! It’s really good and even though it’s a thin crust, the dough isn’t real cracker-crispy like most thin crust pizza, the dough is chewy and it adds a nice texture to the mix. It’s a tasty pizza, nice sauce and the toppings are really generous for a thin crust pizza. Chris saw me taking photos and came over to see what I was doing. I told her about the blog and that I had lived 19 years in New York and Chris told me she had gone to SUNY for college and I had to confess I had never seen the SUNY college in the city. I probably walked by it a million times and just never noticed it. To make up for this lack of knowledge, I gave Chris a piece of pizza and all was well again! Here’s Chris at her table with her friends (from left,) Mike, Mike and Jon. Jon had been following my twenty tenderloin adventure right here on MBIP, so we discussed the tenderloin turf in Peoria and beyond. Great to meet all of them! It’s chillingly delicious, the perfect breakfast in this whole wide world! We’ll see you all tomorrow! Three Chef Boyardees—A tasty and different kind of thin crust pizza at Peoria Pizza Works—an historic Peoria Heights pizza pie emporium. Related Posts: MBIP Year of Pizza @ Sugar and Agatucci’s. Bonus Hot Sauce From Jaws The Cabbie! Jaws the Cabbie sent in this hot sauce to add to the mix today. Ha! Thanks, Jaws!